Heather Elizabeth Coffman is a U.S. citizen from Virginia who “cultivated online relationships with individuals she believed were ISIS facilitators operating in Syria,” according to the FBI.“Glen Allen Woman Sentenced to 4 ½ Years in Prison for Making False Statements in an International Terrorism Investigation,” U.S. Department of Justice, May 11, 2015, http://www.justice.gov/usao-edva/pr/glen-allen-woman-sentenced-4-years-prison-making-false-statements-international. Coffman operated multiple Facebook accounts to propagandize for ISIS, and shared jihadist contacts with a foreign national, “N.A.,” who hoped to join ISIS in Syria.“Glen Allen Woman Sentenced to 4 ½ Years in Prison for Making False Statements in an International Terrorism Investigation,” U.S. Department of Justice, May 11, 2015, http://www.justice.gov/usao-edva/pr/glen-allen-woman-sentenced-4-years-prison-making-false-statements-international. Coffman then lied to the FBI about her involvement with N.A. and an undercover FBI agent posing as an ISIS sympathizer.“Virginia Woman Sentenced for Making False Statements in an International Terrorism Investigation,” FBI, May 11, 2015, https://www.fbi.gov/richmond/press-releases/2015/virginia-woman-sentenced-for-making-false-statements-in-an-international-terrorism-investigation. ; “United States of America v. Heather Elizabeth Coffman, Defendant, Statement of Facts,” U.S. District Court for the Eastern District of Virginia Richmond Division, February 2, 2015. Coffman pled guilty in February 2015 to making false statements in an international terrorism investigation.“Glen Allen Woman Pleads Guilty to Making a False,” U.S. Department of Justice, February 2, 2015, http://www.justice.gov/usao-edva/pr/press-release-24. In May 2015, a federal court sentenced her to 54 months in prison followed by three years of supervised release.“Glen Allen Woman Sentenced to 4 ½ Years in Prison for Making False Statements in an International Terrorism Investigation,” U.S. Department of Justice, May 11, 2015, http://www.justice.gov/usao-edva/pr/glen-allen-woman-sentenced-4-years-prison-making-false-statements-international. Coffman was released in December 2017.Jessica Donati, “U.S. Prisons Allow Extremism to Fester, Study Warns,” Wall Street Journal, February 6, 2018, https://www.wsj.com/articles/u-s-prisons-allow-extremism-to-fester-study-warns-1517930107. Coffman maintained a romantic relationship with N.A. during the summer of 2014 while helping him explore options to travel to Syria in order to join ISIS and die a “Shaheed,” or martyr.“Glen Allen Woman Pleads Guilty to Making a False,” U.S. Department of Justice, February 2, 2015, http://www.justice.gov/usao-edva/pr/press-release-24. Coffman and N.A. listed their Facebook relationship statuses as engaged or married to each other between June and September 2014, during which time they spoke almost daily on Skype, Facebook, and other platforms.“United States of America v. Heather Elizabeth Coffman, Defendant, Statement of Facts,” U.S. District Court for the Eastern District of Virginia Richmond Division, February 2, 2015. Coffman put N.A. in contact with ISIS fighters to help N.A. travel to Syria.“Glen Allen Woman Pleads Guilty to Making a False,” U.S. Department of Justice, February 2, 2015, http://www.justice.gov/usao-edva/pr/press-release-24. N.A. backed out of the plan in September 2014, and Coffman later told the FBI that she did not know whether N.A. had talked to other ISIS supporters, even though she had given him the relevant contacts.“Virginia Woman Sentenced for Making False Statements in an International Terrorism Investigation,” FBI, May 11, 2015, https://www.fbi.gov/richmond/press-releases/2015/virginia-woman-sentenced-for-making-false-statements-in-an-international-terrorism-investigation. Coffman reportedly lived with her parents and 7-year-old son while working at a store in the Chesterfield Towne Center in Virginia.Matt Zapotosky, “Virginia woman accused of attempting to aid Islamic State,” Washington Post, http://www.washingtonpost.com/local/crime/va-woman-accused-of-attempting-to-support-isis/2014/11/17/060c250c-6e8b-11e4-893f-86bd390a3340_story.html. 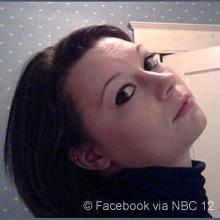 ; Kelly Avellino, “Friend of Henrico ISIS supporter says she was ‘brainwashed,’” NBC 12, last updated November 29, 2014, http://www.nbc12.com/story/27430784/friend-of-henrico-isis-supporter-says-she-was-brainwashed. Angela Burton, a close friend who worked at a neighboring store in the mall, told media Coffman only began on an Islamic path about a year before her arrest.Kelly Avellino, “Friend of Henrico ISIS supporter says she was ‘brainwashed,’” NBC 12, last updated November 29, 2014, http://www.nbc12.com/story/27430784/friend-of-henrico-isis-supporter-says-she-was-brainwashed. Burton believed Coffman had been “manipulated and brainwashed into supporting ISIS.”Kelly Avellino, “Friend of Henrico ISIS supporter says she was ‘brainwashed,’” NBC 12, last updated November 29, 2014, http://www.nbc12.com/story/27430784/friend-of-henrico-isis-supporter-says-she-was-brainwashed. Burton also said Coffman had never actually met N.A., despite their claims to be romantically linked.Kelly Avellino, “Friend of Henrico ISIS supporter says she was ‘brainwashed,’” NBC 12, last updated November 29, 2014, http://www.nbc12.com/story/27430784/friend-of-henrico-isis-supporter-says-she-was-brainwashed. Coffman had also begun to indoctrinate her younger sister. She told the FBI her father “is a little angry because I got her into all this jihad stuff.”Matt Zapotosky, “Virginia woman accused of attempting to aid Islamic State,” Washington Post, http://www.washingtonpost.com/local/crime/va-woman-accused-of-attempting-to-support-isis/2014/11/17/060c250c-6e8b-11e4-893f-86bd390a3340_story.html. Coffman’s ISIS-related Facebook posts received some support from free-speech advocates. John Whitehead, president of the Rutherford Institute civil liberties organization, said the FBI is increasingly targeting people for just “shooting their mouth off.” He said Coffman is “not advocating violence in this country” and that the First Amendment protects “advocating a viewpoint.”Larry O’Dell, “Virginia woman charged in terror case detained,” Associated Press, November 19, 2015, http://bigstory.ap.org/article/29d3936c35914ff4a7e7821d5fcf51c6/va-woman-charged-terror-case-due-court. Daily Beast columnist James Poulos criticized an overzealous FBI for ruining the life of an underprivileged young woman for posting stupid things online.James Poulos, “The FBI’s bogus ISIS bust,” Daily Beast, November 21, 2014, http://www.thedailybeast.com/articles/2014/11/21/the-fbi-s-bogus-isis-bust.html. Coffman reportedly returned to her family home after her release from prison in December 2017. After announcing her return on Facebook, she began posting new comments in support of strict interpretations of Islam.Jessica Donati, “U.S. Prisons Allow Extremism to Fester, Study Warns,” Wall Street Journal, February 6, 2018, https://www.wsj.com/articles/u-s-prisons-allow-extremism-to-fester-study-warns-1517930107. Place of Residence Virginia, U.S.
Heather Elizabeth Coffman is a U.S. citizen from Virginia who cultivated online relationships with individuals she believed were ISIS facilitators operating in Syria. “I’ve gotten a lot of people to see the truth . . . to see the good of ISIS and the bad of the us military.”“United States of America v Heather Elizabeth Coffman, Defendant, Position on Sentencing,” U.S. District Court for the Eastern District of Virginia, April 27, 2015, 4. “I wouldn’t go blow myself up here in the us because the battle isn’t here . . but if I’m there the us army is there then Yes.”“United States of America v Heather Elizabeth Coffman, Defendant, Position on Sentencing,” U.S. District Court for the Eastern District of Virginia, April 27, 2015, 4. “I love ISIS!” (Facebook post)“United States of America v. Heather Elizabeth Coffman, Defendant, Criminal Complaint,” United States District Court for the Eastern District of Virginia, November, 13, 2014. In reference to a Facebook comment about ISIS’s designation as a terror group: “I know…it’s all Zionist propaganda though! If we can rid the world of them…then the world will be a better and peaceful place.” (Facebook post)“United States of America v. Heather Elizabeth Coffman, Defendant, Criminal Complaint,” United States District Court for the Eastern District of Virginia, November, 13, 2014. “Allah has preferred the Mujahideen over those who remain [behind] with a great reward. Degrees from Him and forgiveness and mercy. And Allah is ever Forgiving and Merciful.” (Facebook post)“United States of America v. Heather Elizabeth Coffman, Defendant, Criminal Complaint,” United States District Court for the Eastern District of Virginia, November, 13, 2014. “WE ARE ALL ISIS, ISLAMIC STATE OF IRAQ & SHAM” (Facebook post)“United States of America v. Heather Elizabeth Coffman, Defendant, Criminal Complaint,” United States District Court for the Eastern District of Virginia, November, 13, 2014.